back onto the faces of New York’s pizza aficionados, as Roberto Caporuscio reopened Kesté Pizza & Vino. This seemingly small establishment may just be the closest to the Neapolitan pizza experience New York has to offer. The scrumptious dough, meticulously prepared daily from authentic Italian ingredients and topped with homemade mozzarella, fresh vegetables and imported Italian cured meats, comes to life under the skilled hands working the dough into perfectly round pies, which then swiftly make way to the brick oven where the flames caress them to a flawless, lightly charred perfection. Caporuscio would not have it any other way. After all Kesté in Neapolitan dialect means “this is it”! 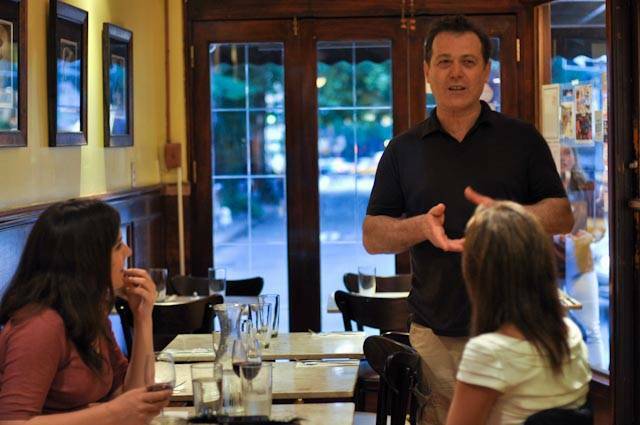 It is not surprising then that Caporuscio, who presides over the American chapter of a trade association, Associazione Pizzaiouli Napoletani, that certifies pizza makers, puts emphasis on authenticity of the ingredients and the adherence to traditional Neapolitan pizza making techniques. 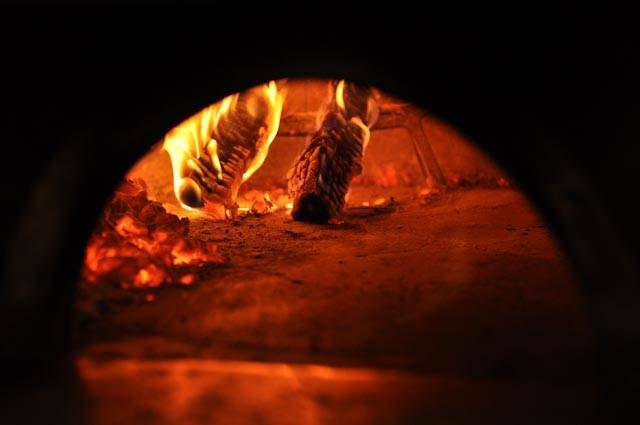 One of the secrets to achieving superior quality Neapolitan style pizza is the oven itself, and Kesté was designed and built by artisans flown in from Naples and therefore it meets Neapolitan requirements such as the size of the mouth and the shape of its dome. 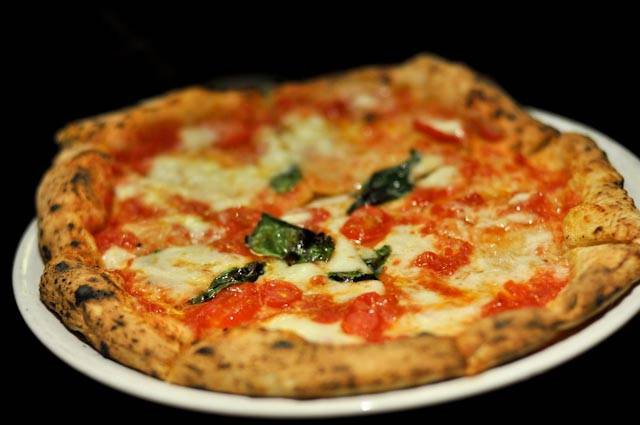 Having a true Neapolitan oven may be enough to make a decent pizza, but the number one component in creating and authentic, quality Neapolitan pie is a skilled pizzaiolo. 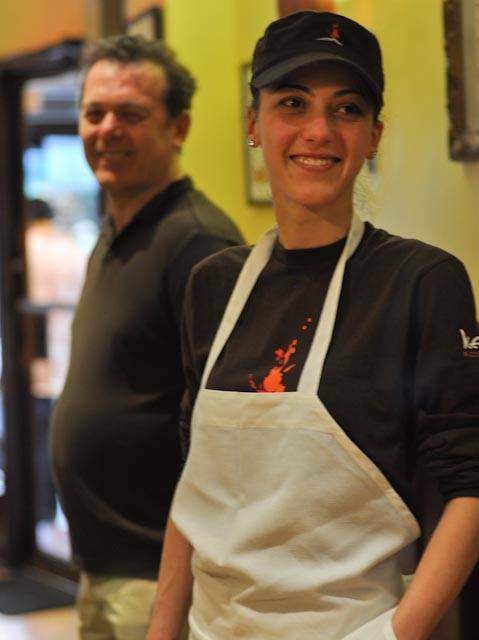 Here also, Caporuscio did not fail, and having his hands full with multiple projects, such as the opening of Don Antonio by Starita Restaurant in Hell’s Kitchen, and running an accredited Neapolitan pizza making school in his New Jersey pizzeria A Mano, he handed over this important job to non other but his own daughter Giorgia Caporuscio. Two years ago, after obtaining a travel and tourism degree, Giorgia came to the United States to study English, but inspired by her father’s passion for the restaurant world and especially for pizza-making, she asked him if he would teach her the skill. And teach her he did! For eight months she studied under his expert guidance, before returning to her native Italy. 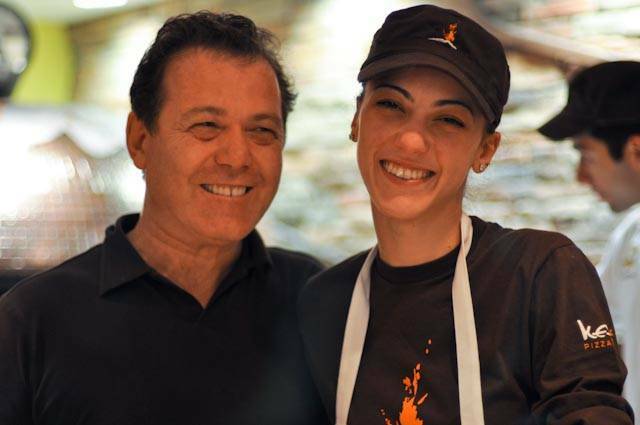 She then told her father that she would like to help him run Kesté, but before Roberto gave her the green light to mange an already renown business, he decided to send her to Florida to help out in opening a Neapolitan Pizzeria Scuola Vecchia in Delrey Beach. Her trial period was far from over, as she then had to complete a long training internship in Pizzeria Materdei in Naples, under the supervision of pizza-making guru Antonio Starita, Roberto’s partner and teacher. In January of this year Roberto finally decided that his daughter was well prepared and ready to face the New York restaurant scene and brought her to the United States. 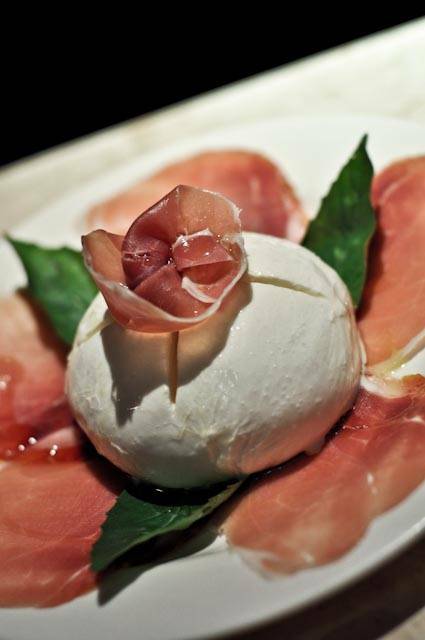 It is with her help that Don Antonio by Starita has been opened and became an immediate hit among restaurant goers. 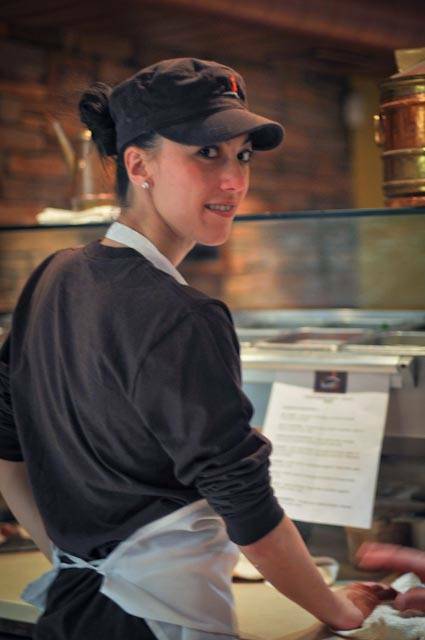 Kesté has become home to Giorgia as she now briskly moves in the pizza preparation area, creating heavenly pizza, some with most unusual toppings, such as nuts, lemon and artichokes. After the reopening of Kesté, the menu has been completely redesigned, offering numerous pizza choices, salads and even homemade mozzarella, prepared daily on the premises. The restaurant now proudly serves gluten-free pizza daily, which received applause from the customers with dietary issues, whom previously were limited to eating at Kesté only on Mondays and Tuesdays. The wine list has also been enhanced offering quality wines at affordable prices.